Unlike other coffees Javita’s Energy+Mind Coffee infuses a potent blend of green tea, gotu kola and bacopa monnieri herbal extracts into their coffee to provide maximum health benefits. 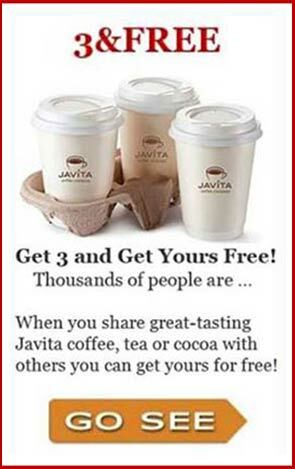 People all over the world are raving about how they feel after drinking Javita regularly! Green Tea originated in China and is made from the leaves of the Camellia Sinensis plant. It has been the subject of many scientific and medical studies and there is evidence that suggests regular green tea drinkers have lower chances of developing heart disease and some types of cancer. Green tea has powerful antioxidant properties and is high in flavonoids, both of which have very positive effects on health. Green tea may also have a positive effect on blood pressure, cholesterol and brain cells. Across continents and throughout history, coffee has been celebrated for its intoxicating aromas, flavorful varieties and most of all, its unparalleled boost of energy. From jumpstarting your day to clearing the cobwebs from your brain, coffee has become the ‘go-to drink of choice’ for centuries. And, today’s cup of Javita energy+mind coffee offers a little something extra. Do you suffer from bright shiny object syndrome? In today’s fast-paced, high-tech, bright-shiny-object world the lack of time, energy, focus and attention experiences are close to home for most people. 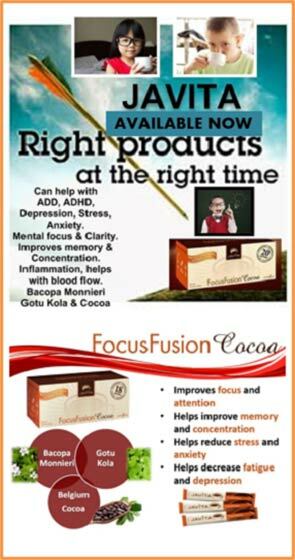 But getting your FOCUS back can be as easy as drinking Energy&Mind Coffee and/or FocusFusion Cocoa. KEEP SCROLLING DOWN the page to see just a sampling of all of our Success Stories for our most current news and videos of real people getting real, substantial results! Here’s a quick tip for when you order so you can get your healthy, herbally infused beverages for the up to 33% savings. When you get into check out you will see this checked box that says Make this Order an AutoShip i.e., …. … leave this box checked to receive up to 33% in SAVINGS. If at any time you want to change your AutoShip simply call Javita at: 1-855-528-4821 it’s easy and straightforward. Want help ordering? Call me at 603-382-8848 and I will personally take your Order and get you up to 33% SAVINGS on your 1st order and you will not need to become a preferred customer until you know for certain our healthy beverages are a perfect FIT FOR YOU! Got questions? Let’s do ‘virtual’ coffee sometime. JUST FOR HEALTHY FUN … and Satiety! Click here for MORE healthy, fun recipes that keep cravings at bay. Ayurveda is a system of Hindu traditional medicine native to the Indian subcontinent that dates back over 3000 years. The origins of Ayurveda describe magical cures for disease, most including the use of herbal medicines, minerals or metal supplementation, surgical techniques, opium, and applications of oil by massages. Although considered magical or mystical at one time, many of these therapies have been intensively studied by modern science and observed to have specific mechanisms of action in the body, confirming their benefits. Two of these herbal remedies are among the most widely known in Ayurveda, and thus have the most scientific research behind them. They are Bacopa monnieri and Centella asiatica, also referred to as Gotu Kola. 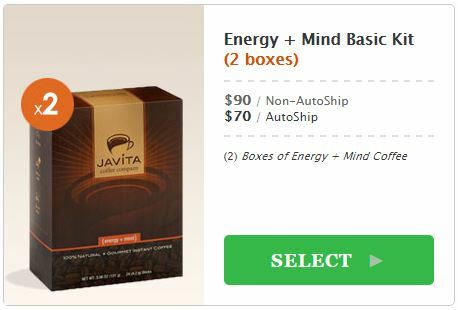 It was for these widely known and well-researched benefits that Javita utilized such powerful herbs when formulating Energy + Mind Coffee, a product designed to support brain function while improving mental energy and focus. This white paper will walk through the history of use of these plants which lead scientists in pursuit of validation using modern research techniques. This paper will present and evaluate available research, from cellular to animal models and finally human clinical trials. A detailed description of the mechanisms by which these herbs work in the body will be discussed along with the outcomes of clinical trial. Safety will also be reviewed along with dosing recommendations for the benefits described for Energy + Mind Coffee. Any adverse events noted in clinical trials or potential negative outcomes from supplementation with these herbs will also be addressed. Green Tea, Bacopa Monnieri and Gotu Kola in our Energy&Mind Coffee… so we can Make a Positive Difference in the lives of MORE CHILDREN and ADULTS suffering with depression, angst, ADD/ADHD and a multitude of other chronic health and well-being experiences. Hello, my name is Dorothy, I am 79 years old and a recent stroke survivor. I suffer right side weakness as a result of the stroke and walk with the aid of a cane. I am thankful to be able to get around but would get very tired and sleepy during the day and had no energy to do basic house keeping. 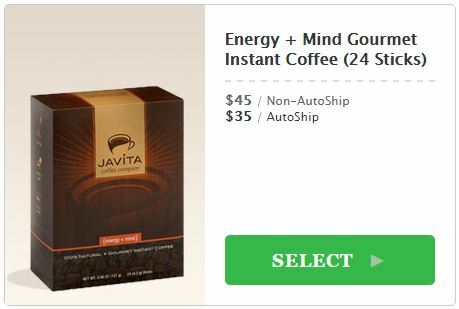 I was introduced to Javita Energy+Mind Coffee and had remarkable results the very first day. I had so much energy that for the first time in many months I was able to mop the floor and do laundry that same day without feeling achy and totally worn out. It also helped with memory recall as I did suffer lapses also as a result of the stroke. I have been on Energy+Mind Coffee every since and added the Focus Fusion Cocoa as well. I have the coffee every morning and the cocoa every evening. I also notice better quality sleep at nights with my routine. These products are like my life blood and I never want to be without them as they have helped me so much in my recovery. If this information can be of help to someone else so be it. 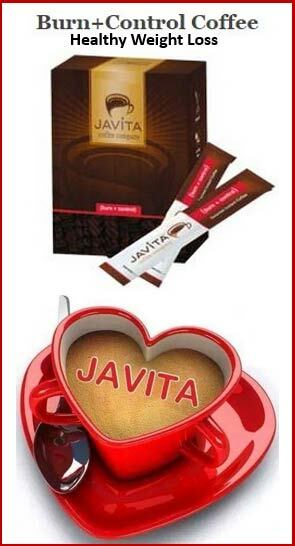 Thank you Javita for providing such fantatic products to help people such as myself live a more productive life. Javita has helped me to face life’s challenges head on, and has given me the opportunity to create a better life for my family. “I am a Special Education Paraprofessional, full-time college student, wife, mommy, and competitive cheer mom. During the day I am responsible for helping little ones overcome obstacles physically, emotionally and mentally. All while I battle myself. At night I struggle, balancing bedtime stories and baths and term papers. I am running non stop, and a few who know me know I have ADD and always have. It’s not something adults are supposed to admit to it have, something we should just ‘grow out of’. It is like having 10 browser windows open at once. All the time. Keeping your mind set on one thing is extremely difficult, because you’re always jumping to another thing. Doing everything, but finishing nothing. My teacher friend gave me my first cup of Energy&Mind coffee, and it changed my mornings, my days, my personal strategies for completing my days effectively. It is HUGE for me. My focus and my energy are on point, and I don’t feel like I’m constantly running in circles anymore. Anyone with an Attention Deficit Disorder (ADD) would understand that is not something you think you’ll ever feel. Anxiety constantly. I am so excited to say that this isn’t my battle anymore!!!!! I cannot say with enough excitement how much I appreciate Energy&Mind. I am finally in control of my day instead of my days controlling me. Being more organized and mentally clear have made me a better mommy and wife. That is huge to me, and means the world to my family who DESERVE the world, and deserve a mommy who effectively runs her household. I’m 4 months HAPPY with this new herbally infused Energy&Mind coffee. I didn’t want to take medication anymore as an adult, so finding a non-chemical dependent solution has been life changing. Thank you Javita, and thank you Melissa for caring enough about me to give me my first cup of a new life! !” ~Kristin M.
Mother of four battles her way through ADHD and off prescription medication with Javita’s coffee and cocoa. “I am currently 34, and I have struggled with ADHD my entire life. I have been on medications (Ritalin) since early middle school, as an adult I was put on Vyvanse for my ADHD. However, I did not want to be on medication. I felt that a life without medication was never an option for me. I have been drinking Energy + Mind Coffee in the mornings and the FocusFusion Cocoa in the evenings, and at this time I am OFF of my ADHD medication completely and I am still functioning at full capacity. You do not understand how this has changed my life!! Being a mother, it also worried me that one if not all four of my children might suffer from ADHD as well. With these products, now they do not need to be medicated!! They have a different chance, a different option than I ever did. Thank-you Javita for everything! !” ~Jessi W.
Javita helps Emma fight depression and so much more! “My name is Emma. I am a 22-year-old mum with a fabulous 2 year old son, Bailey. I have suffered with depression and anxiety for nearly 5 years. It has always been a daily struggle to even get out of bed. I had no energy, feared the outside world and rarely ate. I soon developed anorexia too. Becoming pregnant helped me turn my anorexia around, but I still struggled to get through my day. I had little to no focus, terrible memory and a lack of energy. July 2014, I was introduced to a product I had never heard of, Javita. I was the biggest skeptic and really didn’t believe that the member would be able to find products that I would love and that truly worked. I will point out, I visited my doctor at this point prior to commencing to ensure it would be safe to use with my medications. After a couple weeks of discussion, I gave it a trial. 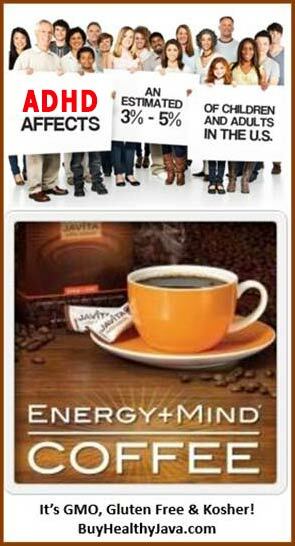 To my disbelief, the Energy + Mind coffee tasted great! Now, normally I would have two teaspoons of sugar in each and every coffee I had. With Javita, I no longer needed it! I ended up placing my order online before my trial pack had even run out. I was becoming addicted to the amazing flavour! That discussion will forever ring clearly in my mind. That day was my fresh start! Now I am racing to get out the door each day even when it is raining. I run out of things to do each day rather than the energy or time to get them done. My smile is real and I am enjoying life again, MEDICATION FREE. Along with all the benefits I had already seen with Javita, I had excess baby weight that wouldn’t shift. Luckily, the member I was purchasing with had a solution for that too, Burn + Control coffee and Lean + Green tea! Yet again, I just started with a trial pack. The taste of these two products took me a few days to get used to but oh my gosh, it was working! The first week alone, I lost 1kg (2 lbs)! Now, I had been sharing this coffee with all my friends and family, giving them samples and recommending them to contact the member who referred me to Javita. The next thing I know, the member has contacted me. After discussion, I quickly signed as a member to be able to continue helping those around while earning myself an amazing, growing income and FREE products! September saw me take part in a 30 day weight loss challenge. Over this time, I was drinking not only my Energy + Mind coffee but also 2-3 total sachets of Burn + Control and/or Lean + Green. I lost a massive 10.5kg (23lbs)! This was all done with regular walking and maintaining a healthy diet as well. Since then I have been helping many people around the globe. I love being able to help people overcome or manage their ailments, lose weight, feel healthier and even to unlock an amazing income for themselves too! “I wanted to let you know how much the Energy+Mind Coffee has impacted my life. I have more clarity now than I have ever had. I can concentrate and pay attention to a conversation that I would otherwise lose interest in after about 3 minutes. I made a comment to my husband the other day and asked him, ‘Is this how you are all the time? I have so much clarity and can think so much more clearly now.’ He just laughed. He has always told me that I have adult ADD, and when I see other people like me I understand their pain. Every day is a constant struggle for me. I have more lists than I can handle, scared to death I’ll miss yet another appointment. “My name is Misty Tharp and I’m a wife and mother of 2 little girls. When my last baby was born I suffered with Postpartum Depression. She is now 4 years old and over the last 4 years the depression has cycled and ruled my life. I’ve tried everything under the sun to fix myself and never felt normal or like “me.” In June of this year I started drinking both kinds of JAVITA coffee. I immediately noticed I had more energy, which I needed, but within a few days I felt more balanced. I felt like I had mental clarity and ZERO brain fog. I was getting out of bed and doing the things that needed to be done AND feeling alert. I FEEL like my old self. I was certain I’d have to battle depression for the rest of my life. Since drinking my daily cup of coffee, I no longer have any symptoms of depression. I’m so thankful and blessed. 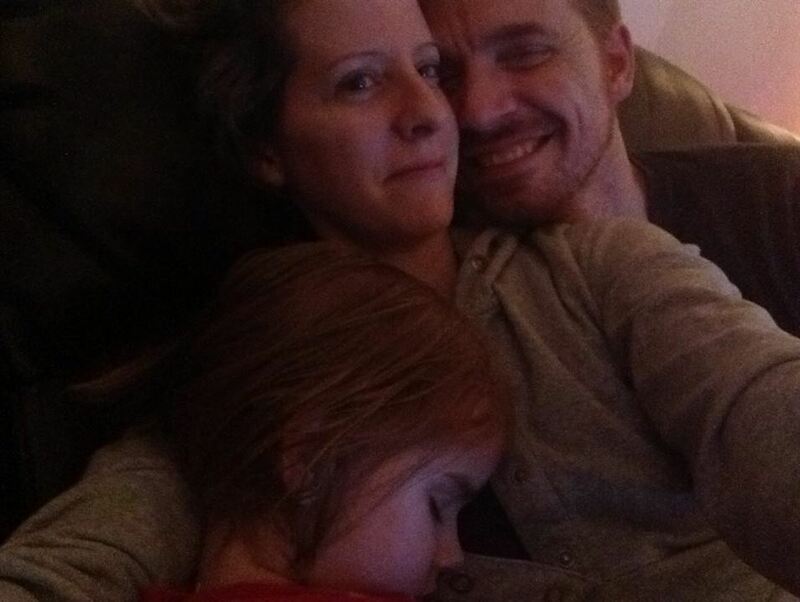 I finally have my life back” ~Misty T.
Two yea rs ago, my husband was diagnosed with a terminal illness. When I found out, I decided that I was going to live each day positively and take care of my husband the best I could. Javita’s Energy+Mind has given me the resources to make this journey a little easier for my husband, family and myself. Al noticed he was more coherent and had clearer thinking overall using the Energy+Mind. When he uses other coffee, he notices the difference immediately. You can think you have your life all planned out, but in an instant something dramatic can happen that will change your life forever. Background: Alzheimer’s disease is a degenerative condition mostly affecting the elderly. It significantly affects the patient’s quality of life. So far there is no proven effective therapeutic intervention for such patients. Bacopa monnieri is an indigenous plant which is found throughout India. It has been referred in Ayurveda since centuries as a “Medhya Rasayan” (nootropic). Studies have shown various effects of Bacopa monnieri among which is its inhibitory effect on the enzyme cholinesterase. This can result in decrease in the breakdown of acetylcholine, an important neurotransmitter whose decreased levels are seen in Alzheimer’s disease. We conducted this study to evaluate the effect of Bacopa monnieri on cognitive functions in Alzheimer’s disease patients. This was an open label, prospective, uncontrolled, non-randomized trial. Study population included all newly diagnosed patients of Alzheimer’s disease in the Psychiatry Outdoor Patient Department between 60-65 years of age. Baseline scores on Mini Mental State Examination Scale (MMSES) were recorded for all patients. Subsequently all patients took 300 mg of Bacopa monnieri standardized extract (Bacognize®) orally twice a day for 6 months. MMSES scores were recorded again after the completion of study drug. Mean age of 39 patients who completed the study was 65.23 years. Study patients showed statistically significant improvements in various components of MMSES including orientation of time, place & person, attention and in their language component in terms of reading, writing & comprehension at the end of trial. The patients involved in this trial also reported improvement in their quality of life, and decrease in the irritability and insomnia. The results of our clinical trial show that Bacopa monnieri standardized extract (Bacognize® 300 mg twice a day orally) for 6 months results in improvement in some aspects of cognitive functions in geriatric patients suffering from Alzheimer’s disease. While the above results are encouraging given the improvement in cognitive functions in geriatric Alzheimer’s disease patients, further studies that include a control group are required to validate these results. Diagnosed with ADD / ADHD? “My husband, Jóseth, has severe adult ADD/ADHD. So severe, we almost thought he would need to go on disability for it. When it was real bad, he wouldn’t be able to decide what he wanted to eat off a menu, he would drive through stop signs and lights, he just could not function. He had difficulty keeping a steady job and really could not be depended on in that way. We tried everything to help him. Pharmaceuticals made him not eat at all. We changed diet, did all kinds of detoxing and supplements, even through all of that, he was struggling, barely keeping his head above water. We could have no warning when he would derail. He was so frustrated that the everyday things were so difficult for him. I did not know if our marriage would make it. Coffee was one of those things that made it worse, we tried every top organic coffee out there, and he just had to give it up for his safety and our family’s safety. He was so sad to not be allowed coffee. A friend told us about Javita Energy+Mind and so we ordered a box. Jóseth seemed to not derail on it, so we had him stay on it. He said it felt like part of his brain came on and was a live again. So we had him stay on it. Within just a few months, he went from a struggling as an average employee at work, to being number one. Last month, he achieved his monthly quota before the first week of the month was over. He also recently achieved something he has never achieved in all of our marriage, and that is holding down a job for a year straight. He’s winning all these awards at work, he’s also up for a promotion in a few months. His co-workers are asking him, how are you doing all this? And he just says, it’s my Javita Energy+Mind. Do you want any? Well, a few weeks ago, we actually ran out of the Energy+Mind for a whole week and he just completely unraveled in a week’s time. It was bad. Sometimes you don’t realize how much something is helping until you run out. He got back on it and went right back to his beautiful self. If you had told me his salvation would come in a coffee, I would have LAUGHED at you. But Javita coffee is changing our lives. It has saved our marriage. It has given me my beautiful husband I knew was trapped in there somewhere. We have a deal now, that for the sake of the entire family, we won’t ever run low on Energy+Mind coffee every again. It is amazing that something so simple has transformed an entire family, a marriage. I thank God every day for bringing Javita Energy+Mind into our lives. “My son was diagnosed with ADHD and a learning disability at age of 5. He is now 10. The everyday struggles of a parent from homework to almost EVERY minute calling out his name, telling him to ‘please calm down’, ‘please don’t do that’, and ‘please be quiet’ are already part of our daily lives. and people who FEEL BETTER, DO BETTER! “I have suffered with depression and anxiety for nearly 5 years. It has always been a daily struggle to even get out of bed. I had no energy, feared the outside world and rarely ate. I soon developed anorexia too. Becoming pregnant helped me turn my anorexia around, but I still struggled to get through my day. I had little to no focus, terrible memory and a lack of energy. Two months ago, I changed my coffee. Now I am racing to get out the door each day even when it is raining. I run out of THINGS TO DO do each day rather than the ENERGY OR HOURS to get them done. My smile is real and I am enjoying life again, MEDICATION FREE. Best of all, instead of having an anxiety attack EVERY FEW DAYS, it has now been TWO MONTHS between attacks! AND, I’m also losing the stubborn baby weight that I just couldn’t shed!” ~Emma B.
Checkout this incredible note from a very proud mom regarding her daughter Laci Lee who’s ready to take on life and junior high thanks in part to her morning cup of Javita energy+mind. “My daughter Laci Lee was diagnosed with ADD in May 2012 @ the age of 10. She has struggled her whole life in school. She never could grasp anything that the other kids could. We had numerous test done but they never found anything wrong, because she was quiet and not loud and crazy. Doctors started her on prescription meds, as while it seemed to work for a bit, she started to zone out again. The more they increased the meds the more she turned into a walking zombie not to mention she had no appetite. I really didn’t like what it was doing to her AND she had NO AMBITION for life. Summer 2013, I completely took her off the meds and figured we just needed to learn to deal with it. October 18, 2013…Laci had her 1st 1/2 cup of Javita, 3 times a week. I remember the first day: she came home from school went straight into her room (wasn’t told), did her homework (3 pages) and was done in like 2 hours, which normally took her 5 hours. As the week went by, I would ask her “did you get you homework done?” (it was always a chore) and she would respond so proudly “yes mom.” I was shocked and in disbelief and she would show me, and it was done, complete and correct. Coffee can help ease chronic pain? It can if it’s infused with Ayurvedic herb Bacopa Monnieri. Chronic pain management costs billions of dollars in medical exchequer to the world population. Additionally, 77% of people with chronic pains also have a degree of medically treatable depression. Bacopa monnieri, a renowned ayurvedic medicine has a strong antidepressant effect and significant anti-nociceptive effect, which is comparable to the effect of morphine via adenosinergic, opioidergic, and adrenergic mechanisms. BM has been also reported to be effective in neuropathic pains. Additionally, it has a strong anti-inflammatory effect mediated via COX-2 inhibitory mechanism. Apart from its effect of augmenting morphine analgesia, BM also inhibits opioid-withdrawal induced hyperalgesia, and acquisition and expression of morphine tolerance. BM is reported to have a strong protective effect against toxic effects of opiates on major organs like brain, kidneys and heart. BM is well documented to be safe and well tolerated herbal therapy in multiple clinical trials including various age groups. This mini review evaluated the preclinical data that highlights potential of BM as a future candidate for clinical management of chronic pains.